Rexnord has announced the latest addition to its premium line of power transmission components, the 3000 series MCF coupling. 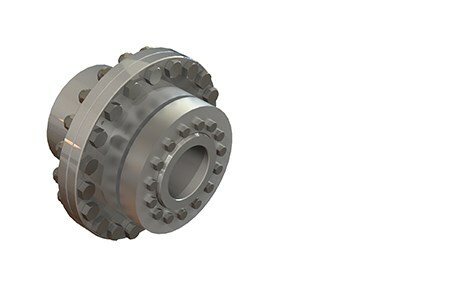 MCF couplings are used as an alternative to hollow shaft mounting options for large drive applications to simplify the assembly and maintenance of gear drives. It connects the head shaft pulley of the conveyor to the solid low speed shaft of the gear drive and transmits all of the drive torque while supporting the drive and motor assembly’s weight. The MCF is be available in both Type 2 (interference fit) and Type 4 (shrink disk hub) configurations. Designed as a direct add-on for the V-Class gear drive, the 3000 Series is a cost-effective option that’s simple design makes it easy to install and remove. Simple design – reduced complexity makes the MCF Coupling easy to install and remove with no hydraulics needed. Designed specifically for the V-Class – makes the MCF a cost-effective option. Backwards compatible – the 3000 series is backwards compatible with all 1000 series units, making it an ideal replacement. Shrink disc mounting options – available on both the driven and driving hubs, offering you more versatility in your application. RSB hubs available – greater availability means you can reduce the number of spares needed. Simple, cost-effective and versatile, Rexnord adds another premium quality coupling solution to its bulk material handling product portfolio. The 3000 series is the ideal solution for your drive mounting applications.